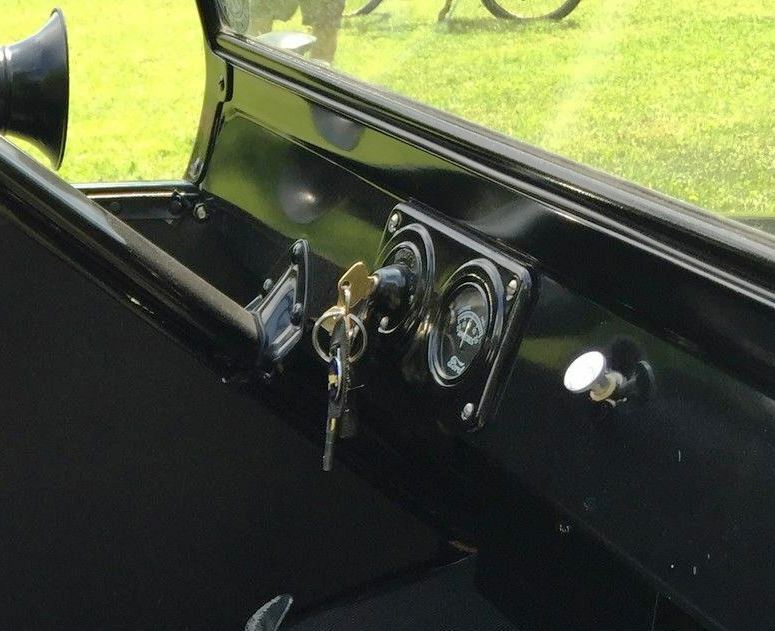 On starter equipped cars, how is the aluminium knob at the dash fixed to the rod connecting the bell crank on the firewall? I believe the knob is actually some kind of pot metal. It seems they are cast on the end of the steel rod. My first guess would be that it screws on, but I didn't want to try unscrewing it because I didn't want to wreck it if I guessed wrong. My second guess would be that it's pressed on, but I think that would be more likely to work loose. With you on that one Steve, they aren't threaded. 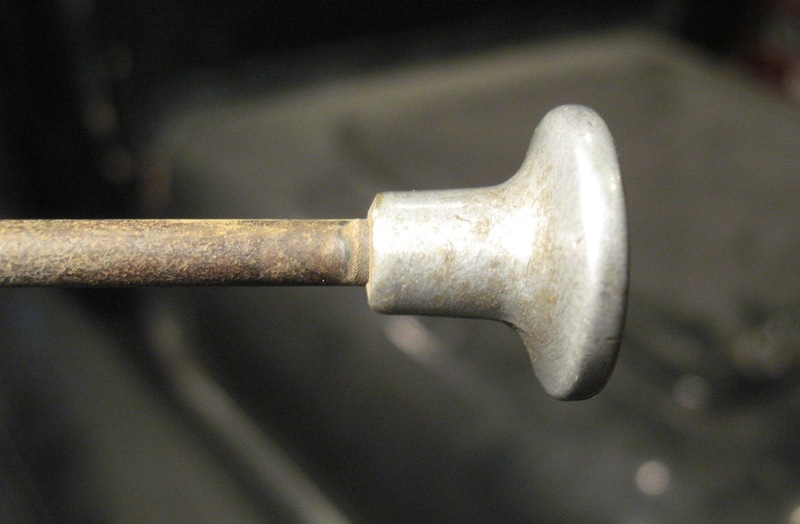 Pressed or swagged would be a better word, the soft Alum knob is fixed to the end of the rod. Can't be removed. I believe I'll go with Royce on this one. I can't imagine swaging and expecting them to hold for 100 years. My rod has been shortened and is severely worn where it goes through the firewall. I can't budge the knob. It looks to be cast in place. So,it looks like I will have to weld a new piece of rod onto the old.